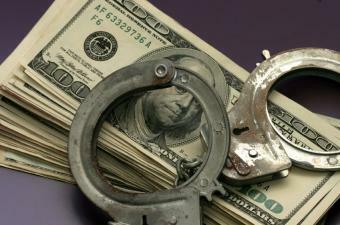 In California, a real estate broker out of Elk Grove was sentenced to 10 years in prison for her role in a mortgage fraud scheme that led to more than $5.5 million in losses, the Justice Department announced in a statement. Hoda Samuel, 62, owned and operated Liberty Real Estate & Investment Company and Liberty Mortgage Company. Out of 30 fraudulent sales transactions that occurred between April 2006 and February 2007, Samuel serve as the real estate agent for the buyer in 29 of the home sales, according to the statement. All the properties involved in the transactions went into foreclosure. The transactions included false statements pertaining to income, employment, and rental history. To back the fabricated information, false documents were created and presented to lenders, and people were paid to answer calls from lenders and affirm the false statements. Samuel also exaggerated the value of the collateral securing the loans, often exceeding the actual asking prices by $15,000 to $40,000. Repairs and costs for disability access modifications were also included in the prices, but were rarely done. According to the statement, at times, children of buyers were named as building contractors so money could go to the buyers. “Greed-based crimes such as these can undermine the stability of our financial institutions and the economy, resulting in devastating consequences for homeowners, businesses and the communities in which the properties are located,” said special agent in charge Monica M. Miller of the Sacramento division of the FBI.